We're proud to announce that intuo is now officially part of the Unit4 family. We’re very pleased to announce that we’ve acquired Intuo, a company providing innovative technology for strategic HR and Talent Enablement. Combined with our rich transactional HR, payroll and vertical specific applications, we now offer an extensive HCM portfolio covering People, Finance, Project and Planning in the cloud for mid-market organizations. Your success depends on the success of your employees, and we see the need to support you to meet the challenges and performance management needs of a modern, non-traditional digital workforce. 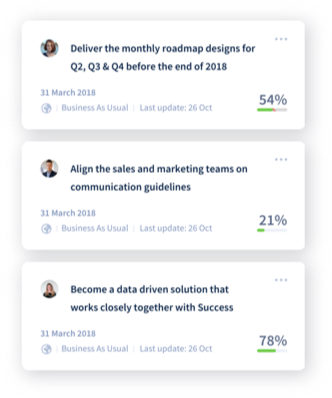 Intuo is a fantastic, modern SaaS solution that brings HR into the flow of work, providing an alternative to the traditional yearly employee evaluation cycle and engagement survey. It drives and captures continuous conversations and in the moment performance reviews which give managers a more accurate and helpful understanding of an employee's performance. 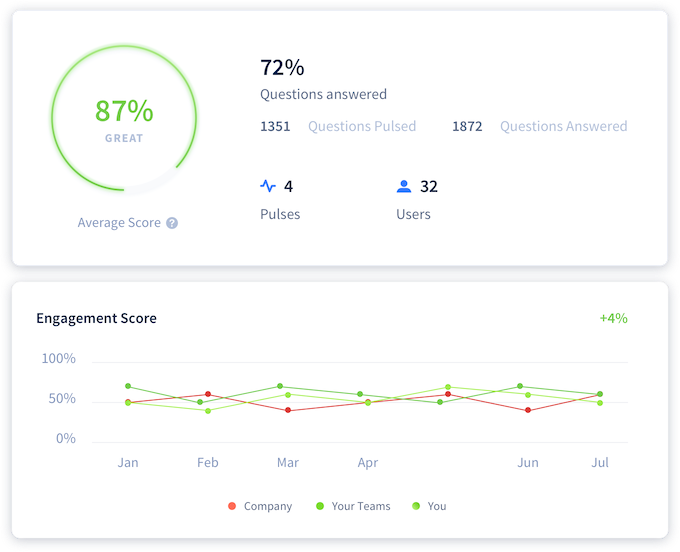 intuo is a talent enablement platform that provides an alternative to the existing yearly evaluation cycle and engagement survey. We introduce a future-oriented system that helps to coach people and offers you data about their skills and career opportunities. intuo is availaible in English, Dutch, French, German, and Spanish. Introduce your performance management cycle to the 21st century and support your performance management cycle with powerful software upgrades. Allow people to align with the organisation regularly and thoroughly, ranging from better objectives alignment to efficient performance conversation management. Analyse, improve and empower people for exceptional results. Identify your high-performers, allocate their strengths and achieve strategic goals. your organisation can move towards. Turn giving feedback and recognition into a habit. 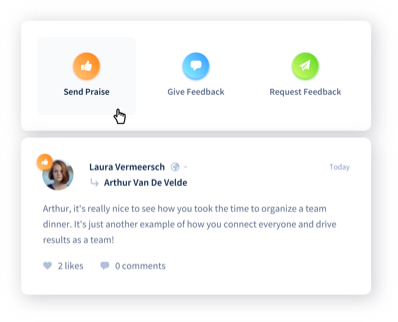 Create a culture where this becomes intuitive and use feedback to actively evaluate and improve the efforts of your teams. 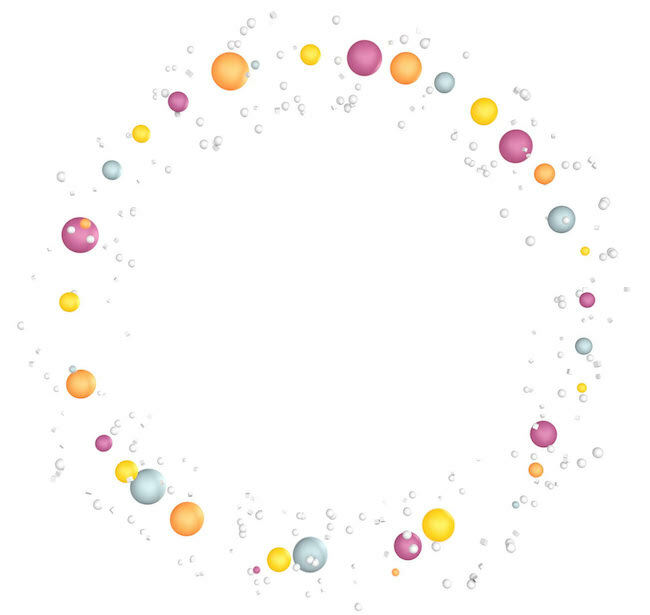 intuo offers an efficient approach in sending out customisable engagement pulses. Acknowledge your people’s needs and build towards a perfect work environment based on the input of your employees. We offer company, team and personal objectives (OKRs) to know where you and your organisation are headed. You can set and adjust goals based on key results. Every person is provided easy access to a clear structure of all relevant goals. Maintain and update knowledge in your organisation by using the course builder with integrated tools for both online and offline learning. intuo provides a guided check-in process to facilitate one-on-ones. 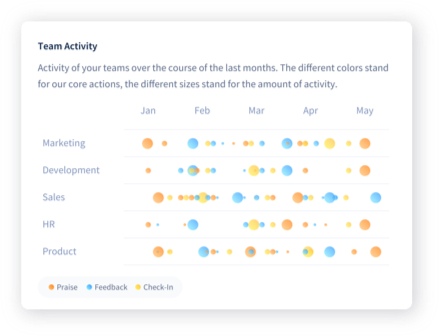 Easily schedule and prepare impactful one-on-one conversations and win a lot of time by using the built-in questions. intuo is building a way to deliver higher potential experiences. 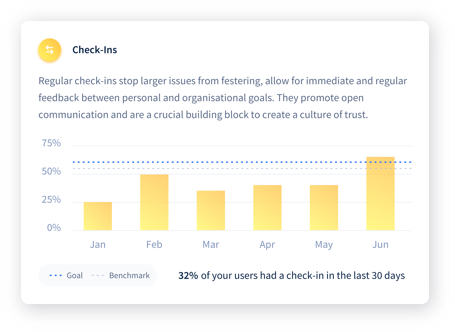 Our advanced behavioural analytics lets you visualise how your talent enablement is evolving, both from a quantitative and qualitative perspective. Consult the dedicated progress reports to understand the bigger picture and make informed data-based decisions for further organisational growth. Intuo's flexibility is the main strength. It’s what we create your value with. Do you want to give feedback? Great! 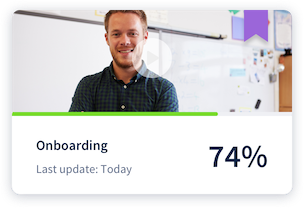 Not ready for e-learning, yet? No problem. We tailor everything to your needs to tackle your challenges and opportunities. Intuo is designed to fit every kind of organisation but feels as if it’s made just for you.